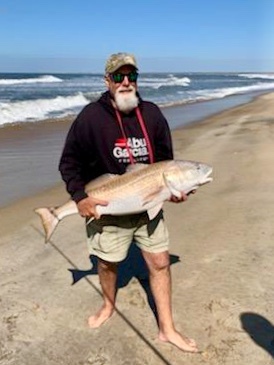 Here is the Frisco Rod and Gun Outer Banks Fishing Report for Hatteras Island. Today was another beautiful day across the island. We had temperatures in the upper 60’s low 70’s. Winds were out of the Southwest around 20-25 mph with gusts up to 30 mph . Their have been reports of both puppy drum and big drum being caught at the point along with skates and sharks. Sea mullet being caught up in Avon and Frisco. The inshore boats had catches of bluefish and citation drum. The offshore boats stayed at the dock today due to weather. Reusable ice substitute. Safe, non-toxic and colder than ice. Today was another beautiful day across the island. We had temperatures in the upper 60’s and winds out of the northwest direction. Avon is reporting sea mullet and gray trout. There were sea mullet, blow toads, bluefish and a few black and red drum scattered from Buxton to Hatteras, along with sharks and skates. The inshore boats had catches of bluefish and drum. The offshore boats had catches of Blackfin and yellowfin tuna, wahoo, dolphin, triggerfish and vermillion snapper. Strong and sensitivity TC2 graphite material. Light and sensitive blank with high strength, and perfect action. High quality and strong Zirconia ring guides. Special TICA sliding foldable hook keeper. Superior non slip cork tape handle. Splendid and eye-catching cosmetics. Surf, jetty and pier fishing also great for large reservoirs. Today was a beautiful day across Hatteras Island. We had temperatures in the upper 60’s. The winds were variable today, 8-10 mph. There have been a few reports of Drum being caught at the point this morning. Pictured below is Alex Bonner with 41 1/2” drum he caught this morning at the Point. The inshore boats caught drum today. The offshore fleet had catches of dolphin, wahoo, yellowfin and blackfin tuna. The first blue marlin of the season has been released today! Narrow fillet knife makes filleting and skinning your fillets easy. It’s ultra-sharp out of the package and with just the right amount of flex to glide over the bones. Dexter Outdoors now provides the latest in handle technology. personalized handles. Mold-able handle material allows the user to form each handle to their particular grip, making the handle more comfortable to use and easier to grip. It features our proprietary High Carbon, High Alloy, Stain free DEXSTEEL. This knife is NSF certified and is made in the U.S.A.
Today we had strong thunderstorms in the early morning. The winds were out of the SSW between 19-27 mph, gusting to around 33 mph. The temperature was around the mid 60s . There have been a few reports of Drum being caught at the point. Feature circle hooks with short leaders to increase live releases. 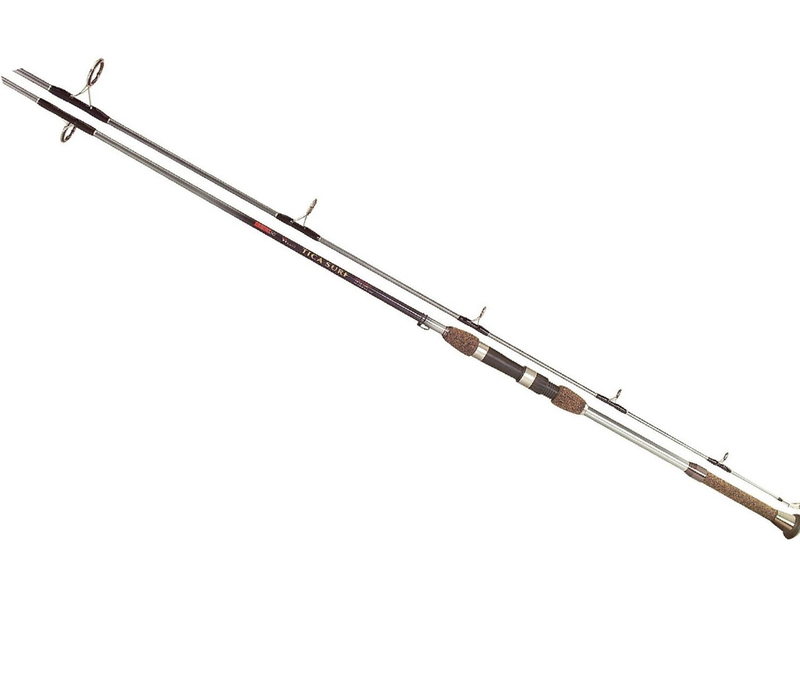 4″ – 6″ 60# test with 13/0 hook and your choice of 2oz., 3oz, or no weight. Today we had a sunny day with a slight overcast of clouds. The winds were out of the South at 7-24 mph gusting to 30 mph. The temperature was around 70F. There have been steady catches of Sharks at the point with a few drum in between. WoW at the winds today! The winds were out of the SW this morning, moving on around to the NW tonight. It blew a steady 17 mph all day, with gusts in the mid 20’s. The temperature was around 75F. We have not had any beach reports today, besides 6oz would not hold. Hopefully tomorrow the seas will calm down. There is no inshore or offshore report for today, the conditions were a little rough. Encourage nearby turkeys to relax by setting up the Thunder Chick? Upright Hen Turkey Decoy. This decoy is designed with an alert, upright posture and a high head to signify dominance and protection for other gobblers approaching the area. The realistic paint and feather scheme will trick turkeys with ease, and the foldaway stake system allows you to complete your hunt and move on quickly. Get the most out of your turkey hunts this year with the Flextone® Thunder Chick Upright Hen Turkey Decoy. Today we had sunny skies with temperatures in the 70’s. The winds were from the SSE at 5-11 mph with gusts up to 20 mph.